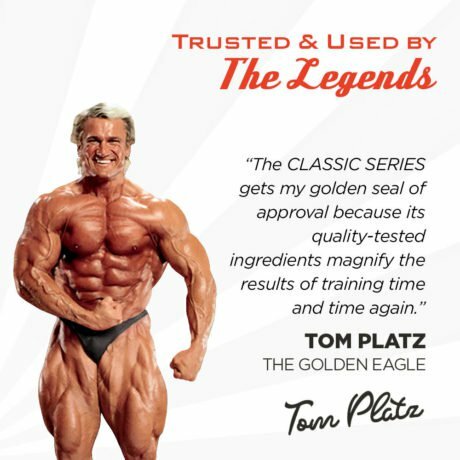 You’re committed to building a classic physique with quality ingredients. You know what you want and you care about what you put into your body. 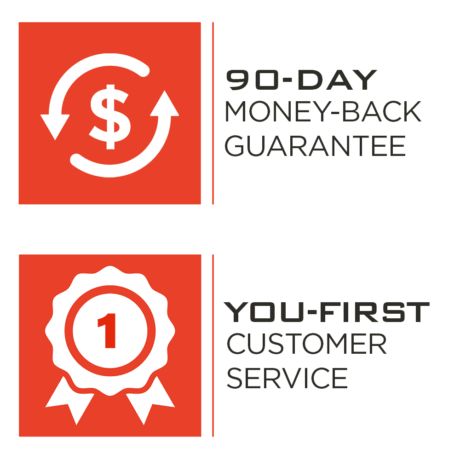 Our “Classic Line” delivers single-ingredient supplements of the highest quality, triple-tested for purity and backed by our satisfaction guarantee. Who is Classic Collagen ideal for? Anyone who wants to enhance the health of their connective tissue (joints, ligaments, tendons, etc.) can use Classic Collagen. You will also enjoy the other benefits of collagen supplementation, such as enhancing the health of nails, skin and hair. Take 1-2 servings every day and the benefits will continue to build over the weeks. Be patient, don’t miss a serving, and you will be rewarded! Adding 1 serving to a Vintage Brawn™ protein shake will “turbo-charge” your results. While Vintage Brawn helps you build lean muscle, Classic Collagen will help your muscles and joints bounce back from heavy training. Good to know: We sourced the collagen in this product from hormone-free, antibiotic-free, pasture-raised cows. 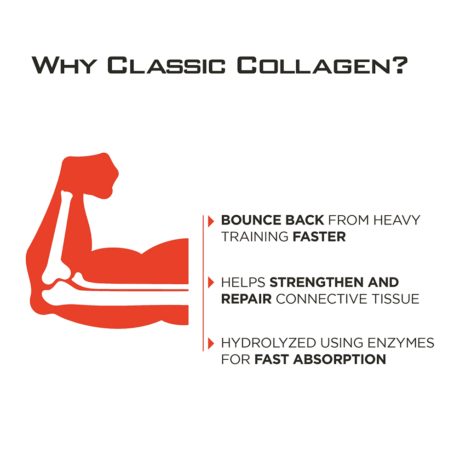 We recommend taking 1 serving of Classic Collagen 1-2 times daily. Mix it with 8 oz of water or your favorite beverage. Because hydrolyzed collagen is essentially tasteless and dissolves easily, you can add it to your protein shake, smoothie, juice, coffee, etc. You can even add it oatmeal and other foods. Experiment and see how you like it best. There’s no wrong way to use it. I’ve read that there are numerous types of collagen -1, 2, 3, etc. Which one is the best? I want to add Classic Collagen to my morning keto coffee, which I make with MCTs. Will the hot temperature damage the collagen? Go ahead and add Classic Collagen to your keto coffee. It’s designed to work with hot or cold temperatures. 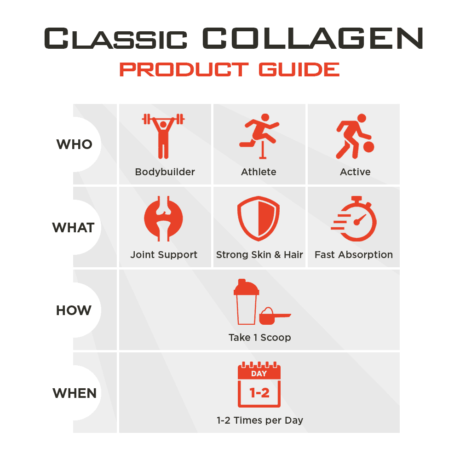 If I take Classic Collagen after my workouts (I want to help my joints recover), should I combine it with my regular protein? 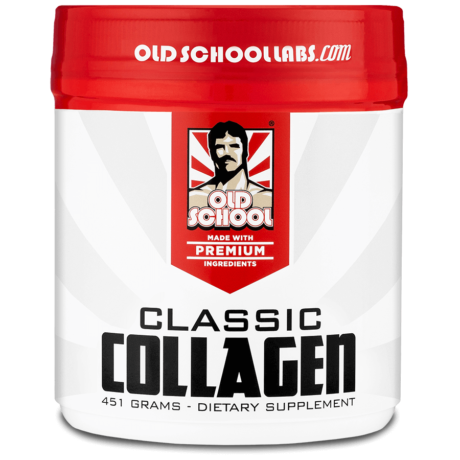 Post-workout is a good time to take Classic Collagen. Try taking it within 1 hour of the end of your workout. You can take it by itself, or add it to your protein shake. For best results, stack with our Vintage Brawn.